I went overboard with my calorie intake yesterday. It was only my second time celebrating one more special day in a year apart from my birthday, Christmas and New Year. Growing up, Father’s Day was a simple time to get together as a family, have a nice Sunday lunch and appreciate having an awesome Dad in our midst. My wife’s family is big in celebrations and traditions, which is not a bad thing at all. She literally prepared a feast yesterday! After dinner I had a few minutes of time to myself (because I didn’t have to wash the dishes as usual) and decided to log in my intake using the app MyFitnessPal. Lo and behold, I ate 788 calories more than my daily allowance! The whole point why I’m sharing this to you is to show that it happens to ALL of us. It’s easy to over-eat calories and go overboard our daily allowances. 1) Live First, Count Later. I didn’t restrict myself to eating only 3200 calories (my current daily allowance with physical activity) yesterday. The first thing in my agenda was to spend time with family and have fun with them at the table. I believe that getting fitter and healthier through exercise and healthy eating is meant to improve our lives, and not overcome it. Everyday in social media you’ll see a ‘fitness guru’ with 6-pack abs working out 7 days a week and eating only carrots and kale. How does their life outside of Instagram and Facebook look like? How is their social relationships? These people basically work and live in the gym. Sure, it’s good to be inspired by them but people like you and I have our own lives to live. If you have a party coming up, go for it. If you’re too stressed out from work and you tend to stress-eat, let it be. My point is to not the restrictions in your “Fitness Journey” affect whatever is happening in your life. Let life happen. 2) You Won’t Know Until You Count. I still did count my calories AFTER I knew that I probably ate a lot than I need to fuel my body. And it does not matter. I didn’t count my calories to bring myself down and feel bad after. I only counted for ONE PURPOSE: Awareness. After logging in the estimates of what I consumed, I had an idea that I ate almost 800 (I probably under-estimated) extra calories than my daily allowance! It’s a big number, but I also know that I keep an average of 300 calorie deficit on most days because I’m currently trying to cut down. This means that my WEEKLY caloric allowance is still on point. I have dropped over 15 lbs. the past three months and I know that one day of going overboard won’t get me off-track. There’s no pressure. I didn’t stress about restricting myself to a certain number. Know your numbers daily AND weekly. If you do, you don’t have to put the pressure on yourself every single day to maintain your daily allowance. Does it mean you have to count everyday? No. But at least do it ONCE to get an idea of how much calories you really eat on an average day. One more thing, I don’t care if you say ‘I already eat healthy‘ or ‘I don’t eat too much‘ — healthy foods doesn’t always mean less calories. Less food volume doesn’t always equate to fewer calories. Here’s what I mean: two handful of strawberries have less calories than a scoop of ice cream. Almonds are considered to be a healthy snack, but a fist size (100g) would already contain 575 calories. Main point: if you haven’t counted calories yet or haven’t done it for more than 6 months, do it at least once starting now. I honestly can’t remember the last time I had lasagna before yesterday. Pizza, maybe 3 to 4 weeks ago. Those sumptuous, fall-off-the bone ribs, probably a month or so. For me, I look at these types of foods as “special”: They are specially more flavorful and they specially have more calories, so they are meant to be eaten only on special occasions! The problem with most people nowadays is that our consumer-culture makes ANY kind of food readily available to us, and everyone can be an instant “foodie.” I think this is what takes away the “special-ness” of certain food items, it is easy to have these special foods take over what is supposed to be healthy, wholesome, staple foods in our regular diets. Are you following where I’m getting at? Believe me, I have met a young female gym member recently who confessed that she eats chocolate cake for breakfast every single day. I have also met a guy in his 50’s who snacks on deep fried prawns almost every night. I have nothing against these types of foods. I eat them myself! But not treating them as ‘special’ foods and instead making them part of your regular diet won’t do any help. Think about all the food and drinks present in your daily diet. List them down on a piece of paper. Then see if each item is specially flavorful and calorific and could be dedicated for special occasions. The rest should be nutritious, wholesome foods that you eat to fuel your body properly everyday. Looking at food and how it plays a part in our lives will take away the stress of not keeping up with your calories and macros, and removes the fear of gaining extra pounds the day after. On Supplements: (Part 2) What are the Differences of Protein Ingredients? On a previous post, you can read about what protein is, what its uses are, and how the body metabolizes protein or breaks it down for energy. This is Part 2 of this couple of posts on Protein Nutrition. It is important to know the basics of what Protein is, not only for a better understanding of what you are consuming or eating, but more importantly to know how to fuel your body for repair and improved function. Food rich in protein, when ingested, takes time and travels a long way before it is digested, absorbed, and used by the body. Excess protein is processed again to be excreted by the body. It is essential to know which protein sources provide the complete amino acids that your body needs at a specific time, without taxing your body from processing excess protein. This article aims to enumerate the common and best sources of protein and rank them according to their quality and how quickly they can be absorbed by the body. I included the advantages and disadvantages for each protein source so that you can decide which one fits you for your specific goal in a specific time. These ingredients can be found in food but are usually the main ingredients that are used for protein supplements. Note that the sources below refers to the protein ingredient from food sources and not to the actual dietary food that we see everyday (for example, egg protein refers to ovalbumin, the protein extracted from egg whites) unless indicated. How do you measure the quality of Protein sources? A laboratory method of determining the quality of a protein source is called the Protein Digestibility- Corrected Amino Acid Score (PDCAAS). The PDCAAS of a protein is internationally recognized as the best method to compare sources of Protein. If a protein source has a PDCAAS of 1.0, it means that it exceeds the essential amino acids requirement of the body and is an excellent source of protein. Another method is called the Protein Efficiency Ratio (PER). PER is determined by comparing the weight gain of rats that were fed a particular protein against a standard protein source (egg whites). In general, gelatin (collagen) protein and wheat protein relatively has poor quality. Meat and fish sources are moderately high-quality sources of protein. The sources of protein that have the highest quality are soy, egg, milk, whey, and bovine colostrum protein and they will be discussed and enumerated for comparison below. This is the fundamental protein source that we all know of. If you are a regular gym goer, yomay have heard of some big bulky guy in your local gym who gulps a dozen raw egg whites for body building. Drinking raw egg whites may sound crazy (I think it is) but it may be reasonable because egg protein is the standard of comparison or the reference point to compare and rate the quality of the other types of proteins. Egg protein is actually extracted from whole eggs or primarily from chocken egg whites through various techniques. 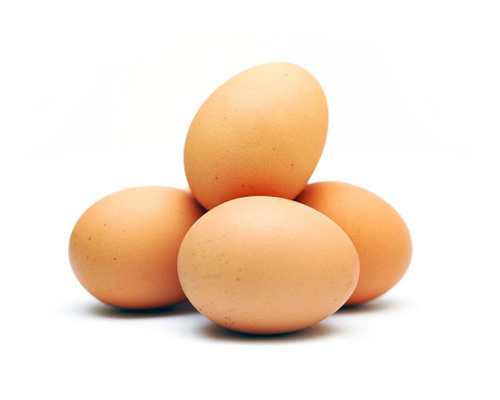 Studies have shown that egg protein is as effective as milk protein, casein, and whey in nitrogen retention to make lean tissue. Also, egg protein can be readily available for your daily consumption from egg whites. Processing egg protein to produce ovalbumin can be expensive, and its use for the production of supplements has been reduced. Milk protein has 80% casein and 20% protein. It is commonly used in supplements because milk protein is relatively cheaper. However, milk sources for protein vary in fat content and total calories, so better check the labels first and compare with other milk products if you are considering milk for your protein source. One cup of milk provides about 8 grams of protein. Milk is a fairly good source of both essential and conditionally essential amino acids. If you are lactose intolerant, you can have skim milk as an alternative, which is also a good source not just of protein but also carbohydrate. Studies have actually shown that milk before or during (and both) exercise is an effective sport drink. Also, drinking milk after exercise encourages protein synthesis. Milk sources for protein generally contains a higher amount of fat and total calories compared to other sources. Milk protein is also digested and absorbed more slowly by the body. Also, some people may be lactose intolerant which eliminates milk from their options for protein sources. Whey protein is one of the most familiar and may be the most used nutritional supplement for active individuals. There can be different ways that whey protein is processed and manufactured and it affects the fat and lactose content of the product. Some proteins found in whey also bind with vitamins and minerals, therefore making it a very useful protein source even for nutrient metabolism. Compared to other proteins, whey protein can be digested faster and is often perceived as a protein having a high quality. Some studies have also shown that whey protein may offer additional health benefits compared to casein (another protein found in milk) such as improving the immune system and preventing cancer. Whey protein is one of the high-quality protein sources, but it is also a more expensive protein source. Differences in processing whey protein also slightly affects its amino acid, fat, and lactose content. Casein protein or caseinates is another protein processed from milk. Caseinates are extracted from skim milk and can be produced as sodium, potassium, and calcium caseinates. They are common ingredients in commercial supplements. Casein is a high-quality protein source and is a very inexpensive source of protein. Supplements that have casein as its main ingredient may be relatively cheaper compared to other products, depending on its quality, taste, and how it is manufactured. Also, casein is absorbed slower by the body but this makes it produce a prolonged increase in amino acids. A notable advantage when comparing casein to whey is that casein prevents muscle breakdown (catabolism) which adds to better muscle recovery and faster adaptations to exercise and training. Generally, casein is absorbed by the body much slower compared to other protein sources. It does not mix well with liquid and tends to clump, which can be an issue when it goes to your stomach. If you are in a competition and you already have butterflies in your tummy, casein protein may not be a good choice. Most people may be surprised that soy is actually a high-quality protein source. Its scores are similar to that of fish and meat, and just slightly lower than egg, milk, and other high-quality protein sources. Most importantly for vegetarians, soy protein is considered the best choice for their protein source. Soy protein is not a complete protein source as it lacks the amino acid methionine. For some people, the taste of pure soy milk products can be a factor. Also, you should also check the labels on flavoured soy milk products regarding its fat and total calorie content. Bovine Colostrum is a pre-processed milk liquid that is derived from cows during the first 48 hours after giving birth. It is mainly processed as a supplement (unless you dare drink directly from a cow’s udder) for commercial protein products. Bovine colostrum has more nutrients than traditional dairy milk and also has a higher quality of protein. It also has other benefits such as improving the immune system, balancing insulin, and antibacterials which cannot be found in other proteins. Bovine colostrum has been marketed as a unique and high-quality protein source that promotes growth and enhances the immune system. There are only producers and dairy farms that market bovine colostrum. There also are major differences in processing bovine colostrum products. You also have to pay a little more for supplements containing bovine colostrum. More research may be needed to determine if it is a better source to whey protein. The two highest-quality sources of protein are Whey and Bovine Colostrum. The ingredients in protein supplements can be found in dietary food. The body digests and absorbs protein differently compared to other food like carbohydrates and fats, so consuming protein supplements may be beneficial for better absorption. Since most of these protein ingredients can be found in dietary food, it may be more prudent to eat a healthy balanced diet instead of taking in supplements especially if you are not a competitive or professional athlete. Knowing the PER and PDCAAS rating of each ingredient would help you choose and decide which protein supplement works best for your individual needs and goals. The way these protein sources are processed to be manufactured as ingredients for protein supplements may affect its quality. Click here to read about Proteins. On Nutrition: (Part 1) Understanding Protein. We all know that we need to eat protein, but what is it? How does protein help someone gain weight or build muscle? How much protein should you eat? And most importantly, what are the sources of Protein for maximum results? I am writing a two-part article with the first part aiming to simplify what protein is and how the body uses it (without getting too nerdy) and the second part enumerating the different protein sources for the body. Protein is one of the six essential nutrients that the body needs for daily functioning. The essential nutrients are those that the body needs to take in from outside sources, that is the food that we eat. Non-essential nutrients are those that the body can produce by itself. Proteins are made up of amino acids, a term that you may have heard of before that is usually associated with Protein. Simply put, amino acids are the building blocks, that is, the smaller chemicals that composes the structure of Protein. Smaller chemicals are called Peptides, but as promised, this article won’t be nerdy. Proteins can be found in every cell of the body and is used for a myriad of very important purposes. What are the uses of Protein? Proteins are needed for the growth and repair of our body’s tissues and cells. Proteins are involved in a variety of metabolic and hormonal activities. For example, Enzymatic proteins in the digestive system helps break down food. Hormonal proteins help control your blood sugar concentration. Other proteins are used for nerve cell signaling processes. The antibodies of our immune system which help fight infections and foreign substances are also made up of proteins. Proteins move important molecules in our body such as the protein hemoglobin which transports oxygen through the blood. Proteins compose the actin and myosin filaments, the cells in our muscles which are responsible for muscular contraction. And lastly, proteins are needed by our cardiac muscle — the muscles in our heart. One more notable use of protein is that during fasting, the body uses the protein from our muscles to produce energy. This means that if your diet has insufficient carbohydrate and fat for energy, or if you refuse to eat 2 to 3 days to lose weight, your body will resort to the best way to produce its needed energy to survive carbohydrate and fat deprivation, which is to break down protein. What makes up the proteins in our body? What are the kinds of protein that we can eat? Protein sources from our diet are also classified into two. Dietary protein can be a complete source of protein or an incomplete source of protein. A complete source of protein means that it contains adequate amounts of the essential amino acids. Animal sources such as meat, fish, and poultry contain all essential amino acids and are thus considered complete sources of protein. Incomplete sources of protein are food sources that lack some of the essential amino acids, such as vegetables, red beans, and nuts. Also, these protein sources vary with the quality of protein it contains depending on its amino acid profile and how the protein is easily digested. This helps determine which kind of protein source or supplement produce good quality proteins. How does our body digest and absorb protein? Protein digestion (the breakdown of food into smaller components) and absorption (the process of absorbing the nutrients into the body) is also valuable to note. The body digests carbohydrates and fats as soon as you put the food into your mouth and the enzymes in your saliva breaks them down. However for proteins, digestion does not begin until the food reaches your stomach and the acids in your stomach breaks them down. Then the amino acids are absorbed through the wall of the small intestine. After being absorbed by the small intestine, they are transported through the blood to the liver to be utilized by the body. This means that dietary protein sources travel a long way first and takes several hours for the body to be able to use it. In application, after a long or intense bout of physical activity, your body would need sufficient protein supply to replace the broken down protein from your exercise or sports training. If you fail to replenish your amino acids, or if you fail to eat sufficiently after your workout, you are already depriving your body of its protein needs. The body digests protein for several hours, but once these amino acids are available, they can freely enter the blood and are cleared within 5 to 10 minutes. This gives you reason to drink that chocolate milk soon after your workout or take in an extra amino acid supplement. How much Protein does our body need? Can we eat too much Protein? The answer is yes. We can actually ingest too much protein and it may be detrimental for our body. Note that the cells of our body only uses the amount of amino acids that they need for a certain time. The unused amino acids are processed again (called deamination) which eventually leads to that processed amino acid being required to be excreted by the body. This all happens in the liver where the deaminated amino acid is converted into ammonia. Ammonia then is converted into urea which travels through the blood and is finally removed from the body by the kidneys in the urine. 1 cup of milk has 8 grams of protein. A 3 ounce piece of meat has around 20 grams of protein. Four ounces of meat is like a deck of cards, so 3 ounces would be 3/4 of that deck of cards. 1 cup of dry beans has about 16 grams of protein. An 8-ounce container of yogurt has about 11 grams of protein. Other factors such as pregnancy, obesity, and exercise affects the protein requirements of the body. It is proven that intense exercise increases the body’s protein needs. Athletes are recommended to consume 1.5 to even up to 2.0 g/kg of body weight of protein per day to make sure that the body receives enough protein supply. Generally, the more intense the physical activity, the higher the amount of protein is needed by the body. Moderate intensity exercises would require a lower amount of protein from this range. Aerobic activities also require sufficient protein replenishment that is higher than the average recommendations. Ingesting amino acids after an intense workout, then can help the body replenish its protein requirements quickly as amino acids can be readily absorbed and used by the body. Protein is one of the six essential nutrients that the body needs for daily functioning. This means that protein can only be obtained by the body through ingesting food sources. Protein is used by the body for different important purposes. Some food sources are complete sources of protein and some are incomplete. It is best therefore to have a balanced diet that provides all the essential amino acids and other nutrients that are needed by the body. 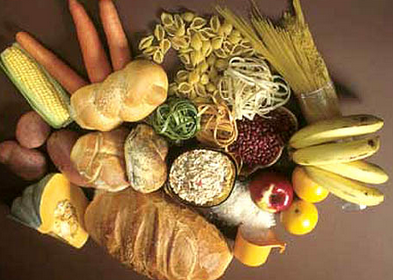 Proteins are composed of amino acids which takes a long time to be processed by the body. Our food sources for protein then should have good quality so that the body can replenish its protein supply effectively. Check the Recommended Daily Allowances for Protein to know how much protein you will need on average. Intense physical activities require athletes to consume more protein than the recommended average. My next post will be about the sources of protein and how they rate as your option. Also check out my post about the effects of Branched Chain Amino Acid (BCAA) Supplements for performance. Reference: NSCA’s Guide to Sport and Exercise Nutrition. National Strength and Conditioning Association. Campbell and Spano. 2011. The prevalence of various supplements and ergogenic aids today can be very confusing not just for the recreational athlete, but even for seasoned competitors who aim to improve their performance. The supplement industry is taking advantage of the increasing number of people who are now more conscious about their health. While some are clinically backed by science to deliver results (glutamine, creatine and protein), other supplements have received skepticism on whether they really work or whether they simply produce a ‘placebo effect.’ Some pills offer almost all of the performance enhancements that you can think of, and you can be quite sure that if a product does that, it’s definitely false. Still, there are supplements such as Branched Chain Amino Acids (BCAA) which are proven by science to be beneficial to performance. Branch chain amino acids or BCAA’s are composed of three essential amino acids namely leucine, valine, and isoleucine. Essential amino acids are nutrients that can only be derived from food such as especially meat, dairy products, and legumes. On the other hand, non-essential amino acids can be produced by the body. ‘Branch chain‘ refers to the chemical structure of these three essential amino acids. What are the known uses of BCAA’s? Branch chain amino acids have been used in medicine for treatments of various diseases which includes brain conditions due to liver disease, a movement disorder called tardive dyskineseia, and to treat poor appetite in kidney and cancer patients. It is also being used to help slow muscle degeneration in patients who are confined to bed. BCAA’s are also known to prevent fatigue and improve concentration. Athletes have been using Branch chain amino acids to improve exercise performance by reducing protein and muscle breakdown during intense training. Are BCAA supplements effective or are they just a waste of time (and money)? Another study performed by Green et al (2007) observed the effects of BCAA supplementation on endurance exercise through measuring blood samples. 9 untrained men performed 3 series of 90 minute bouts of cycling at 55% of VO2 max. They performed the cycling bout once with BCAA’s, once with a carbohydrate drink, and once with a non calorie containing drink. Blood samples were taken at 4, 24 and 48 hours following exercise. The study showed that the blood samples of those who took BCAA’s had lower accumulation of waste products, which minimized soreness for the cyclists. These studies suggest BCAA’s could certainly benefit sportsmen and gym goers by buffering waste product accumulation in muscles, thus preserving muscle tissue and promoting quicker recovery. When should BCAA’s be taken or ingested? Branch chain amino acids are usually taken prior to exercise or training. BCAA’s are ‘free form,’ which means that they do not require much time to be digested. The contents of your supplement should contain 50% leucine, 25% isoleucine, and 25% valine. BCAA’s should be taken with water before and after training, and even with any other pre or post workout supplement. For those who aim to build muscle mass, BCAA’s can be taken with whey protein for faster absorption and for additional nutrients. According to consumerlab.com, there is no apparent toxicity or danger associated with BCAA supplementation. They recommend anywhere from 1 to 12 grams. The benefits of Branch chain amino acid supplements are proven to be effective. However, before you take BCAA’s or any supplements, talk to your coach, sports nutritionist, or doctor for advise. Know your goals – Why are you participating in exercise or training? 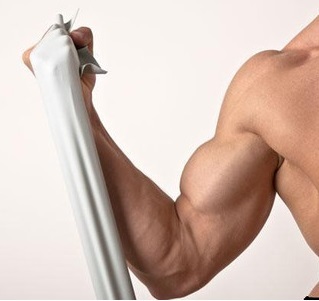 Are you aiming to be a bodybuilder? Are you going to compete in a race? BCAA is an answer to the question ‘What supplements can help improve my performance?‘ or ‘What can help build my muscles?‘ but other factors should be considered. For any supplements, don’t take them for vague reasons unless you really need it and you are advised to take it. Remember that sometimes, eating a healthy diet and getting enough rest could do a lot more than taking a supplement. Athletic supplements such as Branch chain amino acids do have a role and are effective ergogenic aids, but like any other aspect of your training, taking supplementation should match your goals. Did you know that according to top10supplements.com, the best BCAA supplement is Optimum Nutrition? Get it from Amazon at a more affordable price and for FREE shipipng!